Photo courtesy of Court Leve. 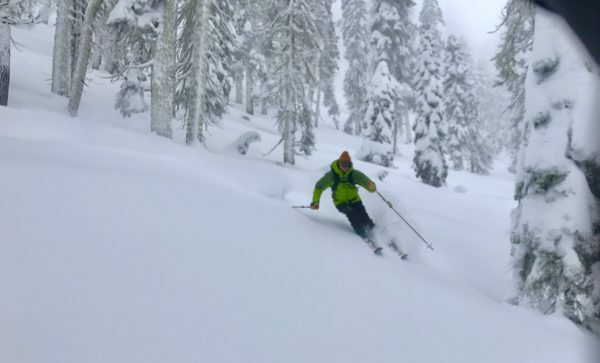 A succession of atmospheric rivers have pummeled California setting up the Sierra Nevada Mountains with the best ski conditions in years. 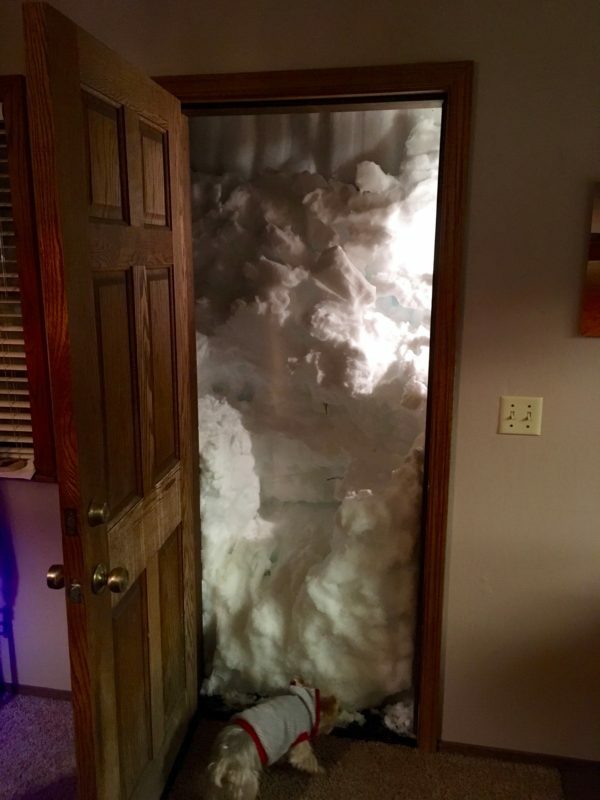 Two frustrating yet drought quenching rain events in December were followed by two more huge storms which shifted from rain to snow and stacked up multiple feet of fluff down to lake level. 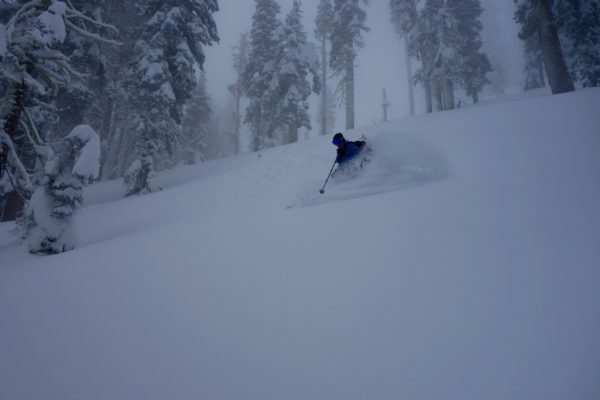 Torrential rains, widespread flooding, power outages, downed trees, massive traffic jams and and raging blizzards have kicked off the 2017 ski season with a vengeance. 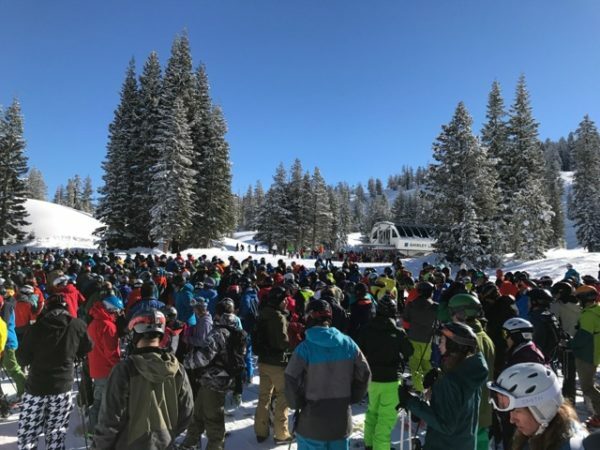 Reminiscent of storm cycles from the mid 90’s, Squaw Valley and Alpine Meadows were closed four days in a row the week of January 8. 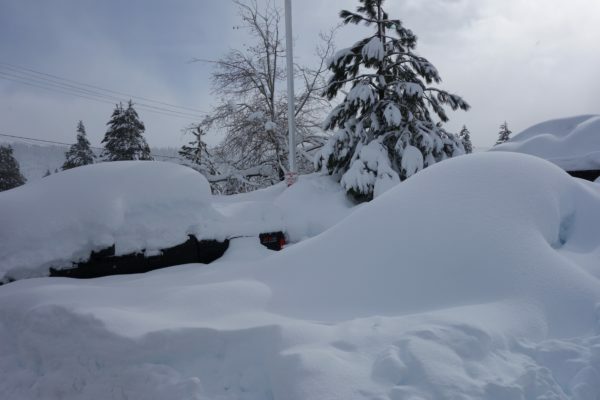 Giant snowbanks reduced many roads to one lane and the Truckee Tahoe School District had eight snow days between the New Year and MLK Holiday Weekend. Twelve feet of snow has fallen at elevation 7,000 feet putting us within striking distance of the all time January record of 15 feet. The last storm finished with a foot of down feathers on top and the avalanche hazard miraculously went from extreme to low in a matter of days. Cold nights and localized low fog have kept conditions perfect. 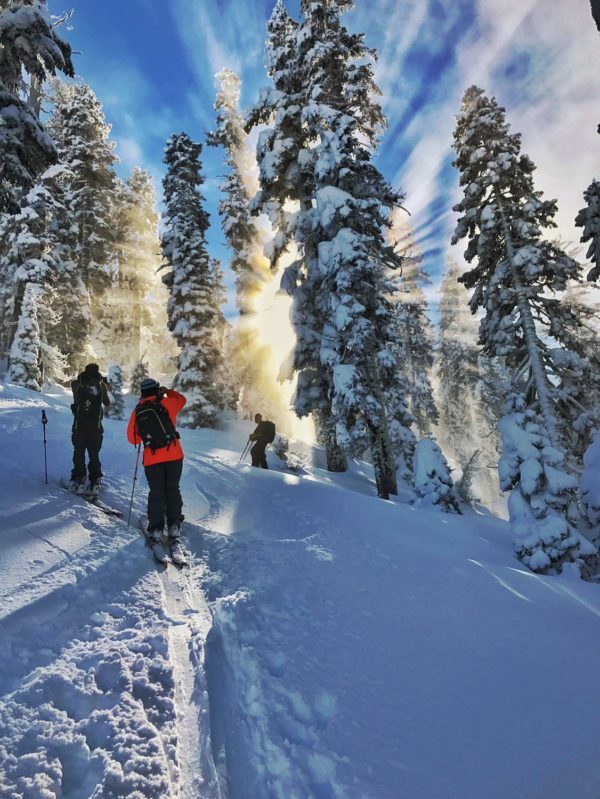 The skiing is as good as it gets. More storms are expected later this week and over the weekend. Tram Face basks in the glory between storms on January 6, 2017. 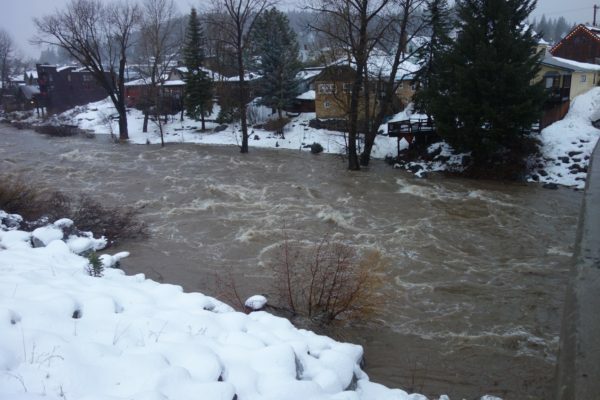 Truckee River on January 8 before rain turned to snow. 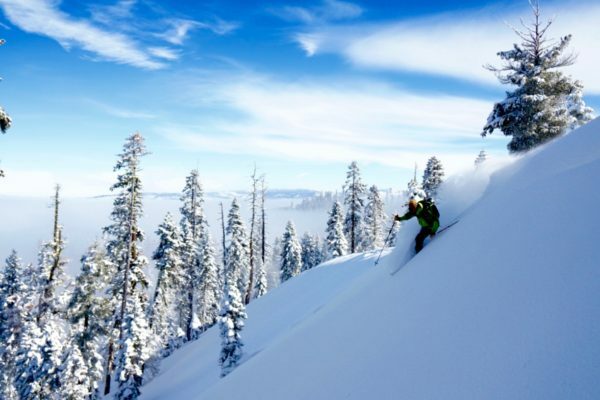 Sampling the product in the Truckee backcountry. 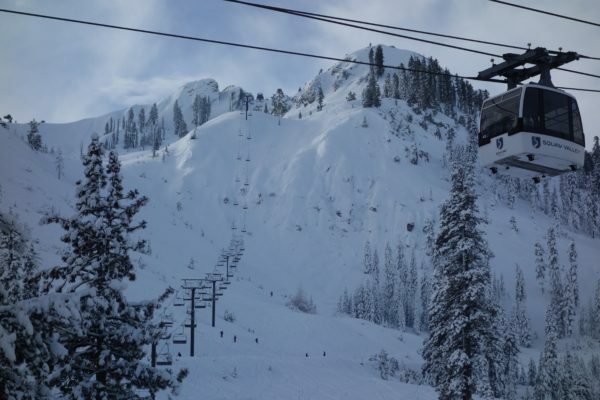 Wet storms caked the Fingers at Squaw Valley. 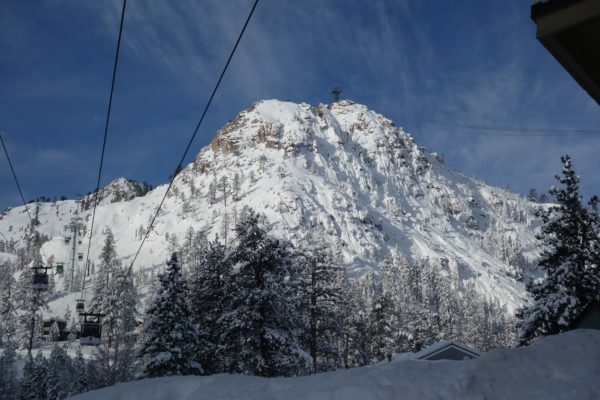 Squaw Valley over MLK weekend.